Earlier this year, Kelowna was named as being the fastest growing metropolitan area in Canada. With that in mind, it’s easy to see why the McKinley Beach development, Kelowna’s newest and only lakefront community nestled in the very heart of the Okanagan, has become so popular, so very quickly. From multiple phases being released to the public and future plans being revealed, to the grand opening of the Marina and even community involvement with a well-timed April Fool’s Campaign, McKinley Beach is clearly contributing to Kelowna’s growth. The McKinley Beach property has been owned and maintained by the same family for 4 generations and spans over an impressive 872 acres of development land, running from the lakefront up through a natural indigenous landscape. Starting at the full kilometre length of sunny beachfront, residents can enjoy over 20 kilometres of hiking and biking trails, ranging in difficulty, for everyone to explore. Construction is undertaken with the natural environment in mind with restorative landscaping being employed to return disturbed areas back to their natural state after home building is complete. This allows residents and visitors alike to enjoy the natural setting of the surrounding area to the fullest thanks to a construction process that takes into careful consideration the existing environment. 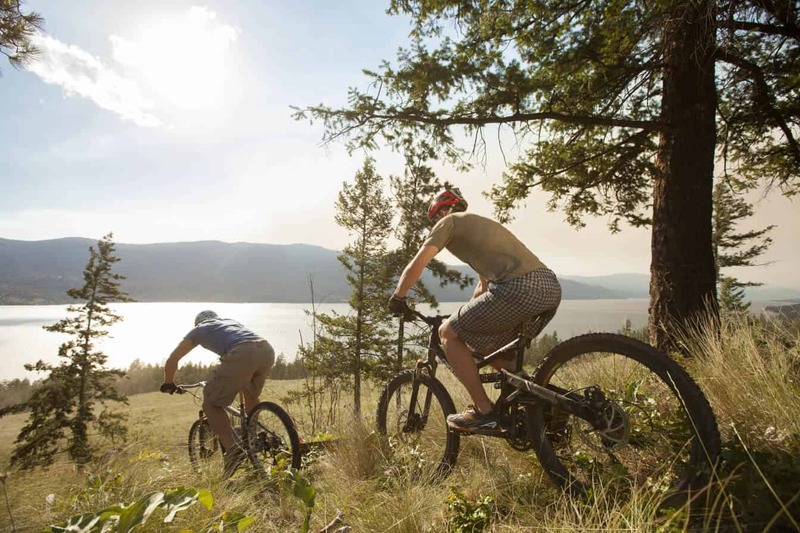 The Okanagan Valley offers a vast array of amenities for all to enjoy and to suit everyone’s lifestyle. With this in mind, McKinley Beach plays host to a variety of activities that encompass the best of the Okanagan in one place, all on site. If you prefer the water, then why not take a Stand Up Paddle Board out along the shore, or dock your boat and other water toys at the on-site 92-slip private marina? Hike or bike the kilometres of trails throughout the community or grab a guide and climb the granite cliffs that have been set up with climbers in mind. Beachfront cooking areas cater to outdoor chefs and provide the perfect setting for evening picnics under the stars. If you’re looking to work out, take advantage of the outdoor gym as an addition to your healthy, balanced lifestyle. Future plans for McKinley Beach include a village, vineyards and a beachclub. As the development grows and more and more residents claim their lots and build their new homes, it’s easy to see how the site plan has been laid out to create a sense of community. From the very start, McKinley Beach has been building a community sensibility, and has enjoyed supporting and taking part in the City of Kelowna community as a whole. McKinley Beach has hosted site tours of the new development, yoga and SUP classes, and has enjoyed running seasonal contests and giveaways, including the Annual Creepy Kelowna Halloween Contest and, most recently, gave away a trip to Disneyland for a lucky Kelowna family. Located an easy 15 minute drive from Kelowna’s downtown core, McKinley Beach is far enough away to escape the hustle and bustle but close enough to take advantage of the vibrant cultural district, nightlife, restaurants, and boutique shopping experience. The Kelowna International Airport is located only 10 minutes away along with the University of British Columbia (UBC) Okanagan Campus. If you’re looking to stretch your educational wings or work in the education sector, UBCO features a state-of-the-art campus with multiple departments along with an on-site health studies building at the Kelowna General Hospital. The growing Kelowna tech sector is proving appealing to many people with large employers taking up residence here including Disney Interactive and Bardel Entertainment. Kelowna’s favourable housing market makes this the ideal time to make the move to the Okanagan Valley. The first two phases of McKinley Beach are now sold but phases 3 & 4 along with the newly released phase 5 are now available with beautiful uninterrupted lakeview lots available. Whatever your reasons for moving, McKinley Beach represents the very best the Okanagan has to offer in one beautiful location where you can live out your true life story. Visit McKinley Beach this Summer, and experience it for yourself.